Above all, I would like to express the help of God in my entire life journey and in completing the research project and the grace, blessing as well as giving me strong muscles and mental stability to bring out this piece of work in to the light. My heartiest thanks go to my advisors Dr. Shimelis Z., Tagay F. (MBA), and Sarfaraz K. (MBA) for their considerable contribution to the topics and direction of this project and their invaluable guidance, conversations, stretched patience, encouragement and support of various kinds through some difficult times. Without them this journey would never have reached this destination. Also, my special thanks go to Wollega University Registrar Office employees for providing me all necessary information and all the study participants who have given their time to fill the questionnaires and to many people who have helped me with financial, material and moral support up to the completion of my thesis work. Finally, yet importantly, I am very grateful to all my family who always stand in my right hand in cases where difficulties arise. Their moral support is always recognizable with great love and thanks. Today Facebook is considered as one of the most popular platforms for online social networking among youth, and - as many researches show – university students. The purpose of this study is to assess the impact of social networking sites i.e. Facebook on students’ academic performance. The study was carried out in Wollega University with regular undergraduate students in focus. A questionnaire was designed to assess impact of Facebook usage on Student and was administered to 384 students’ selected using stratified sampling technique. Variables identified are time spent on Facebook, addiction to Facebook and academic performance. The Pearson product-moment correlation coefficient was used to examine the relationship between addiction to Facebook and time spent on Facebook and students’ academic performance. Furthermore, a multiple linear regression was carried out to determine the relative contribution of addiction to Facebook and time spent on Facebook to students’ academic performance. An analysis of the results was carried out using the SPSS software package. And the findings of this study shows that time spent on Facebook and addiction to it negatively and significantly affects students’ academic performance. Introduction of infrastructure and technological innovations into countries have always been the adversaries and blessing opportunities for socio economic and political life of human beings. Every technological innovation has been a topic of debate and centre of researchers’ attention and same is the case with the development of social networking sites. Various researchers have conducted studies to pinpoint the several impacts of these sites on their users and findings suggested both bright and dark aspects. Hence, many countries gained open access to the Internet due to rapid advances in information technology within last twenty years (Kuppuswamy & Narayan, 2010). In fact, the Worldwide Web, originally created in 1990 for US military forces, has become not only an effective instrument for the management of US army, but later a convenient tool that issued by civilians for communication, entertainment, and learning purposes. One ofthe most popular and recognized platforms used on the Internet are social networking sites such as Facebook. Facebook being at the forefront of the social media craze, has over 500 million active users on its website every month. It is emerged on February 4, 2004, when a 19-year-old sophomore Harvard student named Mark Zukerberg founded the revolutionary site to connect Harvard University students (Grossman, 2010). But later, this site allows users to build social networks with hundreds or even thousands of people around the world of which university students are one of the primary demographics using Facebook, with features such as photos, wall posts, and status updates becoming seemingly irresistible to those who want to connect with their friends (Gold, 2011). Though this social network generates billions of dollars for the developer and assists to contact a relatives detached for long period of time within fraction of seconds, it has impact on the users in general and on students’ academic performance in particular. So, this research assesses the impact of Facebook usage on Students’ Academic Performance in Wollega University. The quick rise in popularity of social networking sites began in the second half of the last decade partlybecause of their extensive usage by school and university students. According to Ellison, Steinfield & Lampe (2011), for example, a significant number (approximately 73%) of Internet-using teenagers have joined social networking sites by the end of 2009, with almost half of them (38%) visiting social networking sites daily. Currently Facebook is used by many people to connect with their friends and relatives around the globe (Brydolf, 2007). And the use of Facebook platforms has grown so fast that it has even attracted the attention of university students; they are so engrossed in the sites that they have almost completely forgotten about their academic work. University students are considered victims of the social media sites more than any group of people as they negatively impact their academic performance (Pasek & Hargittai, 2009). Students easily get tempted to use the various social media platforms when trying to obtain learning materials online. In most cases, the students end up spending almost all their times on the social media and forget about the course materials they originally intended to look for. Furthermore, Ellison et al (2011) claim that students tend to participate in such website activities while doing their homework so that it may have negative effect on their academic performances by interrupting them from the learning process. Therefore, it is becoming difficult to ignore the fact that there might be a direct correlation between Facebook usage and student academic performance shown at schools and universities. Since the problem is relatively new, the researcher believes several attempts to be made for an idea of answering this question. As well as, there is no research conducted yet on this topic in college under the study and those research conducted in developed countries on this area has methodological gaps. 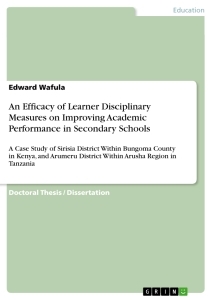 Consequently, the researcher was much indebted to conduct research on this topic to fill those gaps. The overall objective of this study is to assess the impact of Facebook usage on Students’ Academic Performance. - To identify the special motives that drive students to use Facebook. - To find out an average time students spend on this site collectively per day. - To ascertain the extent of students addiction to Facebook usage. - Does Facebook usage have impact on students’ academic performance? - What are the special motives that drive students to use Facebook? - On average how much time do students spend on this site collectively per day? - To what extent student are addicted to Facebook usage? 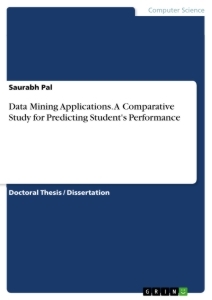 It is anticipated that the results obtained would add to the wealth of information currently available on Facebook usage, its impact on college students’ academic performance as it is newly emerging and instantly advancing technology which would be indispensable for policy makers, development practitioners, service providers, current users, and potential users. Hence, the output of this research can contribute to these endeavours by creating awareness at the grass root level. More specifically, it will assist any interested body as showcase who are responsible for academic performance of students at College level in general and Wollega University in particular. In addition to the above mentioned, in the academic world, everyone viewed social media as a distraction and lead the student to procrastination in their academics. Some students, however, also claim that visiting social media sites during class time helps them deal with the boredom they experience in college. This study would provide information on the impact of Facebook to college students and how it can be used in-relation with their academics. 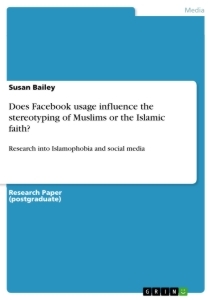 In addition, the findings of the study are expected to contribute a little towards bridging the existing literature gap on understanding the impediments and blessing opportunities of Facebook in the academic environment. And also helps the researcher to gain Masters Degree in Business Administration. Although it was preferable to conduct this research in all colleges found in Nekemte town and on impacts of social network as the whole, due to financial, and time constraints this research only focuses on assessing the impact of Facebook usage on students’ academic performance in college under the study specifically on undergraduate regular students enrolled in main campus of Wollega university. This University is selected as a site of the current study due to that it is the only government college with large number of students serving currently for a total population of about 10,255 students as data of this campus registrar office and no study has been conducted on this topic in the college under the study so far. No study is without limitation Creswell (2008). Accordingly, this study is subject to the following limitations that future studies should address to shed more light on the subject under investigation. - The focus of this study is limited with students who maintain a Facebook account and its impact on their academic performance. However, the result would have been comprehensive if non Facebook users were included and their academic performance/CGPA was compared with Facebook users. Therefore, a study that makes it possible to analyze this issue should be introduced in further studies. - Student self-reporting answer regarding the Facebook use and its impact on their academic performance is mainly the topic of this research but it also depends on students’ true or false opinions. Thus, implementing a true experimental design will also provide rewarding research to other researchers. The definitions adopted by researchers are often not uniform. Therefore, this section outline the definitions used throughout the thesis. - Social Media: they are forms of electronic communication which facilitate interactive base on certain interests. Social media include web and mobile technology. Boyd & Ellison (2008) defined Social Media as a group of internet based application that allows the creation and exchange of user generated content. - Social Networking: the use of internet to make information about yourself available to other people especially people you share an interest with to send messages to them. - Social Networking Sites: a website where people put information about them and can send to others. - Facebook: simply Facebook is a most popular free social networking website that allows users to create profiles, upload photos and video, send messages and keep in touch with friends, family and colleagues. This study is divided into five chapters. The introductory chapter provides a general background of the study and statements of the problem. It also briefly deals with the research question, the aims and scope of the study as well the definitions of key terms used throughout the thesis. Chapter two consists of the related literature. Chapter three provides a fully detailed account of the research methodology, the reasons that the various research strategies were selected and the rationale for the sample selection process. It also deals with the issues of why the particular survey instrument was selected as being appropriate for the current study. Chapter four is the section in which the results of the survey are briefly presented using descriptive analysis. Lastly, chapter five points out the conclusions drawn, and the recommendations forwarded. Social-networking sites (SNS) are the latest online communication tool that allows users to create a public or private profile to interact with people in their networks (Boyd & Ellison, 2008). Facebook, MySpace, Orkut, Cyworld, Bebo, Twitter and other social network sites are the best examples of SNs that allow individuals to present themselves to other users using a variety of formats; including text, video and chat services. These sites have become an increasingly important part of young adult life (Gemmill & Peterson, 2006). Relative to the general population, adolescents and young adults are the heaviest computer and Internet users, primarily using it for completing school assignments (36%), e-mail and/or instant messaging (26%), and playing computer games (38%) (DeBell & Chapman, 2006). SNS incorporate a list of other users with whom individuals share a connection. But unlike any other web service, SNS allow individuals to make visible their list of connections to others and to traverse their social networks (Boyd & Ellison, 2007). Hence, more than virtual Lessons from Facebook communities born online, SNS are usually online communities created and maintained to reflect offline relationships. SNS can be defined as web-based services that allow individuals to construct a public or semi-public profile within a bounded system, articulate a list of other users with whom they share a connection, and view and traverse their list of connections and those made by others within the system (Boyd & Ellison, 2008, ). Facebook was created by Mark Zuckerberg to help residential college and university students to identify students in other residence halls. It is described as “an online directory that connects people through social networks at colleges and universities” (Zuckerberg, 2005). Websites such as MySpace and the more popular FB have millions of registered users, with FB becoming the overwhelmingly more popular SNS (comScore, 2009; Gonzalez, 2009). Over the last decade, and particularly in the last five or six years, SNS has transformed our thinking about our relationships, our connections with and affinity to others, and the influence and persuasive power of online communities on how we think, organize, and act politically. Since the inception of the Internet and integration of email technology into our personal and work lives, our ways of communicating began to change. However, it was not until the creation of social media interfaces like Facebook, MySpace, Friendster, LinkedIn, YouTube, Twitter and other similar applications that have we seen such a massive harnessing of the potential of the now-pervasive online connectivity in our everyday lives. Unlike the communication functions of other online technologies, SNS in particular has provided a virtual landscape mirroring familiar elements of community as we understood and experienced it prior to the existence of such technologies. Social media technology links people together in ways that resemble traditional feelings of connection, belonging, loosely defined memberships, exchange of feelings and ideas, and the reporting of experiences and actions. Indeed, some suggest SMT has suddenly lowered the costs of collaborating, sharing, and producing, thus providing revolutionary new forms of interaction and problem-solving (Shirky, 2010). We can now create, maintain, and access both well-defined and amorphously defined communities online, while also using the social media technology as a tool to fluidly transition between online and face-to-face contact via friendships, planned activities, and other more formal organizational affiliations. One of the most powerful social media platforms is Facebook. Initially, Facebook was privately conceived within and navigated through the social networks of students at Harvard, and subsequently at other elite universities: Princeton, Yale, and Stanford. If we consider the birth of this particular social media interface at Harvard, we can recognize it as a telling example of how components of a university’s social “community” were rapidly transferred onto this online platform. Since its inception, this interface has expanded across multiple college communities and then quickly encompassed a wider range of connected networks of individuals and groups around the world. Today, the adoption of social media technology now stretches across the globe, integrating into the lives of individuals of diverse social, national, racial and ethnic, cultural, and socioeconomic backgrounds. Traditional-aged college students have embraced social media technology; it has become a major part of their everyday lives. In this way, the boundaries between online and “real-world” communities are rapidly stretching if not completely deteriorating. Particularly, as we consider the generation for whom such social media technology exchanges have existed their entire lives, there is a fluid interchange between digital and physical experiences. For this generation, SNS is a primary means of communication and information seeking, and possibly, a central component of their identity and community building. Americans and technology, Rainie (2011) reports Asian Americans as the leaders in overall Internet usage, mobile connectivity through cell phones, laptops, and wireless devices, but they remain on par with social media engagement as other minority groups. Additional Pew research conducted by Jansen (2010) notes, expectedly, that individuals with greater income spend more time on connected devices, and in many cases, increased use is due to the disparity in ownership of internet-ready devices beyond the mobile phone. However, Flowtown (2010) reports that this trend does not hold true regarding social media usage. In its analysis of Google Ad Planner Data, Flowtown found that a curve exists for users of SNS with regard to income. Those who made less than $24,000 per year were less social than were those making between $25,000-$74,000 – who led all users – but were more social than users making >$100,000. When determining the effects of education on social media usage, Flowtown found a similar curve, where SNS usage peaked for users with some college – which may include current college students – and tailed off on either end for users with less than some college or with a bachelor’s degree and higher. Lastly and not surprisingly, across the U.S. the use of SNS varies greatly by age, with older generations participating less often than younger ones. Older generations have been slower to embrace SNS, struggling somewhat to keep pace with younger cohorts. However, they have recently begun making a sharper turn in support of the technology. In 2009, 11% of adults over 30 reported to be engaged online in activities such as blogging. In the same year, 22% of Internet users over 50 reported being engaged on a social networking site (Madden, 2010). Comparatively, younger generations remain by far the greatest beneficiaries and users of SNS. Among users 18-29 years of age, 86% are actively engaged in social networking compared to just 61% of users 30-49 years old, 47% of users 50-64 years old, and only 26% of users over 65 years of age (Madden, 2010). The generation of 18-29 year old users has been referred to by many names – millennial, avant-garde, and most simply, generation Y, many of who are now traditional college-aged adults. This group of 18-29 year old users has been crowned as digital natives, a generation who has never known a world without the Internet (Jones, Ramanau, Cross & Healing 2009). These young media consumers are more connected than any previous generation, and they have an expectation to remain that way in all aspects of their lives. An important dimension to understand when evaluating usage within this demographic is the wide array of user personalities engaging in social media conversations. Given the huge proportion of users in this age range, variation abounds in this vast digital space. Among millennial college students, for instance, multiple collections of Internet-minority groups exist rather than a homogenous group of age-restricted users (Jones et al. 2010), and the variety of subgroups of millennial students use social media quite differently. For example, one subgroup might consist of infrequent users of these technologies, while another subgroup might make frequent use of one or two particular technologies and a larger subgroup might make extensive and frequent use of a variety of the latest technologies. Furthermore, Palfrey and Gasser (2008) note that the general online behaviours that comprise these heterogeneous user types run the gamut from identity exploration to media piracy or illegal downloading, entertainment, and social activism – all of which are manifested through socially enabled media. According to a recent national poll completed by the Harvard Institute of Politics (2011), over 90% of students at four-year colleges reported having Facebook profiles. Based on an additional study (Junco, 2011), presumably, usage is most robust among first-semester freshmen and sophomores among such students at four-year institutions. College student use of Facebook has been shown mostly to reflect a one-to-many style, in which students create content to disseminate to others. Interactions between students were most often primarily between existing friends rather than new connections and users were most often observing content rather than producing it. Facebook was created in February 2004 by Mark Zuckerberg, Dustin Moskovitz and Chris Hughes as a site for Harvard students only. But later it becomes most popular and visited with 34 million unique visitors by January 2008, and as the 13th most popular website worldwide (comScore, 2008), with 98 million unique visitors by December 2007. As of March 2008, Facebook reported having 67 million active users (those who have returned to the site in the last 30 days), with more than half of them returning daily and spending an average of 20 minutes per day on the site (Facebook, 2008). Like most social network sites, Facebook provides a formatted web page into which each user can enter personal information, including gender, birthday, hometown, political and religious views, e-mail and physical addresses, relationship status, activities, interests, favourite music and movies, educational background and a main personal picture. Today, Facebook is comprised of all types of people, but college students still make up the largest percentage of active Facebook users, which is roughly 30% of all users (insidefacebook.com, 2009). To date, Facebook serves roughly 500 million people enabling them to share multitudes of information and connect with others (Fletcher, 2010). Facebook usage encompasses both the simple use of the platform and the extent of cognitive immersion into the site. Its use implies the presence of individual users on the social website, time spent on this platform, frequent visits, and the nature of the activities performed. People from different age ranges interact and exchange content; they share videos and pictures, discuss subjects, chat, publish advertisements for group events, or play available applications. Younger generations (e.g., students) spend many hours up to 8 per day surfing this socializing website. We presume that an extensive presence on Facebook and the resulting increased levels of information flow management requirement engage students in these tasks while they engaged in constant interactions and socialization, which prohibit them from focusing appropriately on their academic tasks (Chen, et al., 2010). Recent literature by Martinez Aleman and Wartman (2009) sought to better understand the campus culture of Facebook through the lens of college students. The researchers examined college students ‘thoughts and perceptions of Facebook use through an ethnographic study, where they found students use Facebook for a myriad of reasons (Martinez Aleman &Wartman, 2009). The authors devised four consistent themes to portray their findings of college student Facebook use: (1) use-consciousness, (2) campus culture, (3) identity factors, and (4) voyeurism and impression management (Martinez Aleman & Wartman, 2009). The authors captured four students ‘voices using the aforementioned themes. The four diverse students shared multitudes of information regarding their experiences with Facebook. Academic Performance refers to how students deal with their studies and how they complete different assignments given to them by their teachers. The popularity of the social networking sites enlarged briskly in the last span. This is most likely due to the reason that every person used it extensively to get worldwide access. These social networking sites such as Twitter and Facebook have become a furious craze for everyone these days. Students are paying more attention towards these social networking activities rather than utilizing this time for their studies and this surely affects their academic performance. The destructive effects of these social networking sites overweigh the progressive ones. These sites have caused some latent harm to society. The students become preys of social networks more often than anyone else. This is because of the reason that when they are studying or probing their course material online, they get attracted to these sites to kill the boredom in their study time, sidetracking their attention from their work & they forget why they are using internet. LaRose et al. (2001) proposed that student users are affected by the internet and this impact is determined by the type of internet usage. The misuse of these sites on a daily basis has many destructive effects on the physical and mental health of students making them sluggish and unenthusiastic to build interaction with the people in real life. Recent literature found that leisurely Internet use is strongly correlated with weakened academic performance (Kubey, Lavin, & Barrows, 2001). Kubey, Lavin, and Barrows (2001) found that students who spent five times more hours online reported schoolwork problems. In the Kubey et al (2001) study, 10-15% of the student participants felt their Internet visits were out of control. Although this study did not mention Facebook specifically, the researchers did mention that the captive social opportunities of the Internet appeared to be the culprit of the schoolwork problems (Kubey et. al, 2001). In addition, Vanden Boogart (2006) discovered that excessive Facebook use was found among students with lower GPAs. Hedonic usage results from activities devoted for pleasure. Facebook usage provided interconnections of people from the same university or all over the world; people continue to connect through it when they want to get in touch with someone they lost contact with or meet new people worldwide. Few other media or channels allow that. However, observed Facebook usage is mostly embedded in the pleasure experienced by surfers who maintain profiles and exchange content. Such usage also can offer better functionality for exchanging videos or pictures, because its integrated application reduces picture sizes and facilitates video sharing compared with messages sent by e-mail for example. 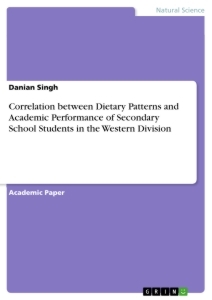 But this kind of Facebook usage resulted students for wastage of time on starring on computers rather than studying hard and scoring good results in colleges (Van der Heijden 2004; Rosen and Sherman 2006; Shin, 2010; Shin and Shin, 2011; Sun et al. 2011). Borrowed from psychology, flow theory helps assess human-computer interactions and addresses people’s use of the internet. Flow, as defined by Csikszentimanlyi (1997, p36), is the “holistic sensation that people feel when they act with total involvement.” It implies absorption in a task, such that the person is completely attracted by the artefact and the task being performed. Websites, email tools, and the computer itself are all artefacts; the tasks refer to an assignment performed using these tools (Firineran and Zhang, 2003). Thus Facebook is an artefact, and people using this network engage in tasks that prompt their flow on the platform. Novak et al (1998) also provide an extensive review of the definition of flow as experienced by people immersed in a task. Described as total concentration and deep involvement in the tasks, these activities result in intrinsic enjoyment, combined with keen curiosity and pleasure that encourages repetition of the activity, but also the loss of time and an inability to control usage or halt the activity. Although the use of social networking platform is subject to persuasive attitude of the social website and the attitudes of users toward social networking in general (Fogg and Iizawa, 2008), online behaviours also reflect personality traits, values, and cultures (Hofsted, 1984). The way people use online social networks especially in terms of their behavioural patterns and attitudes toward information sharing and privacy is a direct result of and reflection on their cultural backgrounds (Kiesler, 1997). Intellectual capabilities to manage time and process information also should affect their capacity to benefit from online activities and restrict their efficiency on any tasks performed in parallel. Facebook users usually interrupt their work to visit Facebook profiles, because of the short-term capacity needed for the working memory process. Unemployed people might go online to look for job opportunities and end up interacting on social platforms, ultimately spending much more on them than expected. This split attention paid to multiple tasks causes’ distraction. The use of online social networks also varies across countries because cultures induce diverse impacts on their members. Absorption in the social networking activity entails extended immersion in these websites, enjoyment while interacting, aid curiosity, but people are also temporally disassociated from their main tasks; whether online or offline, and lose control over the main activity in favour of chatting or checking new updates. Consequently, this research will assess the impact of Facebook hedonic usage on academic performance. Given the high-volume usage of SNS, an obvious and popular concern among faculty, administrators, and parents is the widespread notion that students spend far too much time on nonacademic activities related to the Internet and social media. Countless articles in popular newspapers, periodicals, and blogs have raised these very same concerns (Bart, 2009; Ingram, 2011; Ojalvo, 2011; Schulten, 2009). The most salient concern among scholars, educators, and the public however is related to the effects of social networking sites such as Facebook on the time dedicated to studying and offline activities. Hence, Facebook usage has been associated with both positive and negative impacts to different aspects of people’s lives, including positive impacts, such as improving relationships between friends and family and negative impacts such as low academic performance; health, personal relationships problems; and social problems. These are discussed below. The Social Networking in general and Facebook in particular offers significant advantages for its users, for example, sharing and collecting information, searching for jobs, communication, and entertainment. Vast quantities of information of different types are stored on the Internet. Usually, the information on the Internet is free of cost and is available 24 hours a day. In addition, the Facebook provides its users with the latest news of the world and most of the newspapers are available on the Internet, which are periodically or immediately updated with the latest news (Rice, 2006). Thus, Facebook users can almost instantaneously learn about news events, read news articles or opinions about world events, and share this information and their own thoughts with others like themselves. People around the world can now quickly communicate with each other through the Facebook using a range of applications: chatting, Wall post, and helps to download some books. The Facebook also provides different types of entertainment. For instance, users can play games with other people in any part of the world, watch movies and listen to music. Above all it helps users to form new relationships on this site (Ellison, Steinfield, & Lampe, 2007; Whitty& McLaughlin, 2007). Beside the benefits of Facebook use, negative impacts of its use have also been identified, including: impaired academic performance, health problems, personal relationship problems and social dysfunction. For example, a number of studies have reported the ways in which Facebook usage impairs students‟ lives. Scherer (1997) found that 13% of his respondents reported difficulties in their academic work and professional performance due to their Facebook use. Nalwa and Anand (2003) found that Facebook addictive users used for long sessions, resulting in personal behavioural problems and neglect of important work responsibilities. Chou and Hsiao (2000) explored Facebook Addiction among college that result in more negative consequences in their studies than non-addicts. This conclusion parallels a study by Young (1996), who found that Internet addicts experienced personal, family, occupational problems, and academic difficulties, causing poor grades and eventually expulsion from universities. Many years ago emails, instant messaging and blogging all these are the communication applications of internet are rapidly increased in the youth’s life and this made the internet a significant social context for development of youth especially students. However there are some behaviors that can take place due to frequent use of social networking sites especially students who are using frequently using social networking sites, results in reduction of time for other activities that are related academic, physical and social hobbies that requires face to face meeting (McKenna and Bargh, 2000). Planned behavior theory provided the foundation for the behavioral factor of frequently engaging in social networking sites. It is stated that probability of involving in the behavior for using social networking sites increases when individual has strong intention of acting upon certain behaviors. Group norms and self-esteem are two main factors of planned behavior theory in the context of engaging in social networking sites. Group norms for the colleagues and friends significantly enhanced the likelihood of intentions of students of universities to involve in the specific work activity and those students who identify the use of social networking sites as normative among friends have the strong intention of using social networking sites frequently. There is another significant factor that is the behavioral consequence related to communication technology based behavior and this is self-esteem. Young individuals having lower self-esteem have the high level of usage of instant messaging than those who have high level of self-esteem (Nalwa and Anand, 2003). Positive feedback improves the self-esteem and negative feedback leads to lower the level of self-esteem and that is reason that being socialized young people uses internet’s communication applications because it provides more positive interaction with others (DeBell and Chapman, 2006). Ogedebe et al. 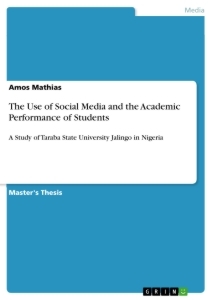 (2012) conducted a research on usage of Facebook and its effect on academic performance of students. A relatively small study of Facebook usage and GPA among 219 students at a large public Midwestern university found the average self-reported GPA of Facebook users to be significantly lower than that of non-Facebook users (Kirschner & Karpinksi, 2010). On the other hand, some studies have found social media use to have no impact on academic performance in college. Two studies found no relationship between self-reported use of Facebook or other social networking sites and self-reported GPA in a sample of students from a public Northeast research university (Kuh, 2003) and in a study utilizing three data sets: a sample of over 1000 University of Illinois at Chicago first-year undergraduates, a nationally representative cross sectional sample 14– to 22– year–olds, and a longitudinal panel of 14 to 23 year old American youth. Furthermore, additional studies on Facebook impact on both engagement and academic performance show positive effects. A 14 week experimental study of 125 university students found increased grades and increased levels of traditional measures of engagement among students who used the medium compared to their counterparts who did not (Junco et al., 2010). This study showed how Facebook can be leveraged to support students’ academic engagement, psychosocial development, and Flowtown (2010) seven principles for good practice in undergraduate education, including enhanced faculty-student contact, cooperative and active learning, prompt feedback, maximal time on task, the communication of high expectations, and respect for diversity. The deliberate use of Facebook led to a culture of engagement that deepened interpersonal connections between students as well. Similarly, these findings are consistent with the teaching tips provided by Dunlap & Lowenthal (2009) who used Facebook as an additional social tool to supplement instruction and found that it can encourage free-flowing just-in-time interactions and enhance social presence when utilized in online courses. Other studies of social media use have focused strictly on its impact on dynamics that have been shown in prior scholarship to indirectly affect grades – college student engagement and involvement. These studies stop short of assessing the direct effect of social media use on grades, but prior research on traditional forms of academic engagement and involvement has emphasized the role of these dynamics in influencing GPA and other academic outcomes. For example, Heiberger and Harper (2008) produced findings that suggest that students who utilized social networking sites such as Facebook were more engaged in offline activities (i.e., studying, face-to-face interaction, work), and they also reported greater life satisfaction and stronger connection to their institutions. In another example, a 2007 study of first-year students and social networking sites conducted by the Higher Education Research Institute (HERI) at the University of California Los Angeles revealed no relationship between time spent on social media and the amount of time spent on academic endeavors, particularly when they compared students who reported spending less than one hour on social networking sites daily and those who report spending more than six hours. However, the study did find a positive relationship between more social media use and higher levels of campus social involvement. Students who were spending more time using social media reported a stronger connection to their institution, felt better about their social life, and were also spending more time on real-life social activities such as interacting with friends and participating in student clubs or groups. On the basis of the preceding theoretical background, the proposed model posits that addiction to Facebook and time spent on it had a crucial impact on academic performance of students. Thus, this chapter provides a fully detailed account of the research methodology, the reasons that the various research strategies were selected and the rationale for the sample selection process. It also deals with the issues of why the particular survey instrument was selected as being appropriate for the current study. To start with, the study site were introduced, followed by a presentation of research design, the sample selection, and data collection process, the data collection tool and further more a description of how the data will be analyzed. Wollega University (WU) is one of the public higher educational institutions established at Nekemte in 2007. It is located 331km West of Addis Ababa at the outskirt of Nekemte town on the 150 hectares of land surrounded by evergreen forest and natural scenery of landscape, and spectacular view of mount Komto. At present, the University runs 60 undergraduate and 17 graduate programs in three different campuses at Nekemte, Gimbi and Shambu towns. WU is an innovative institution and a pioneer University to introduce continuous assessment, student centered & active learning in the teaching-learning arena to revolutionarize the traditional methods of teaching by promoting the communicative teaching approach and fully implementing the continues assessment technique. Today, WU is a comprehensive University engaged in the provision of all rounded education, research and community service. Consequently, it is selected as a site of the current study that providing education for large number of students and no study has been conducted on the impact of Facebook usage on student’s academic Performance in the college under the study. As it has been indicated earlier, the main purpose of this research is to assess the impact of Facebook usage on students’ academic performance. So, to attain the intended objectives, mixed approach were chosen as the research questions contain both qualitative and quantitative natures. On top of this, it is believed that mixed methods provide better information to understand a particular phenomenon under investigation than a single method, as the failure of one method could be compensated by the other (Ary et al., 2010). Since the present study is intended to respond to research questions of quantitative and qualitative natures, data collection and analysis techniques from both methodologies were implemented. Hence, descriptive research design is chosen as it enables the researcher to describe the current situation of the study area. The target population for this study were students enrolled at Wollega University in main campus who specifically fulfil the following inclusion criteria: A day time (regular) undergraduate students and have Facebook accounts. These criteria were used to differentiate a day time (regular) undergraduate students from other students attending their education in the extension, summer and graduate program and other students in the university who do not have Facebook account. Hence, students attending their education in the non-regular program and graduate program were not included in the study for the following major reasons: The first one is to make the study more specific and manageable (from the perspectives of tight budget and time). The second reason is that students attending their education in the non-regular program were not included in the study because they are different from most regular students as they have frequent contact with the outside community, are usually old, relatively stable in life and are often employed. As stated above the target population for this study were regular students enrolled in undergraduate program at Wollega University in main campus. Accordingly, the regular students of this campus are about 10,255 (Wollega University Registrar office, 2014). Hi, I'm a Masters students studying I.T in South-Africa, and my research is almost similar to yours, however I'm having difficulty getting a theory that suitably underpin my research. Could you assist in any regards.